Order your Chauvet DJ Swarm 4 FX Effect Light from AMS and enjoy 0% Interest Payment Plans, Free Shipping, Free Extended Warranty & 45 Day Money Back Guarantee. 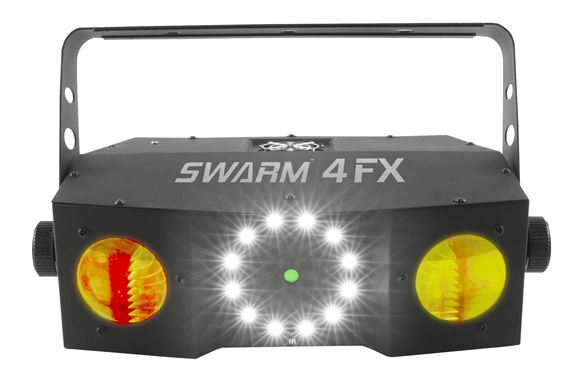 Flexible control and ultra-bright, the Swarm 4 FX combines three dynamic lighting effects in one rugged and compact housing. 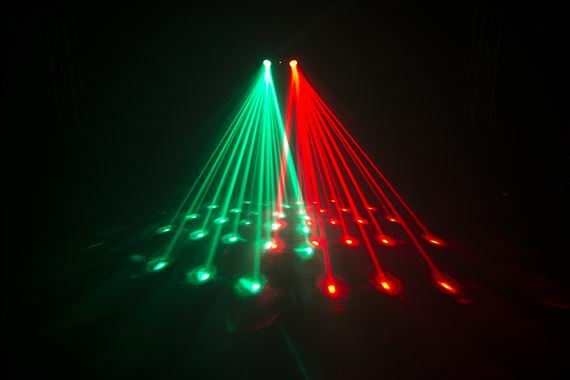 A single fixture includes quad-color (RGBA) dual moonflowers, a red/green laser and a white strobe. 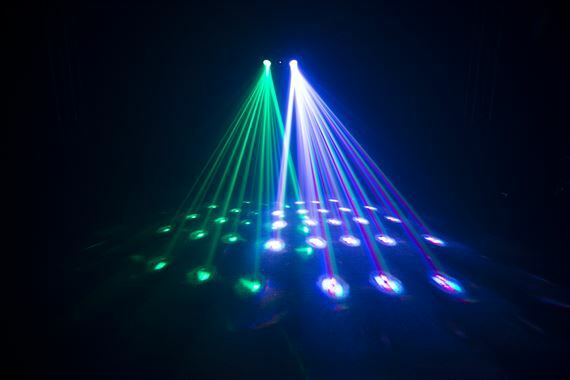 The dual moonflowers spin enough colorful beams to fill an entire dance floor with energy and excitement. 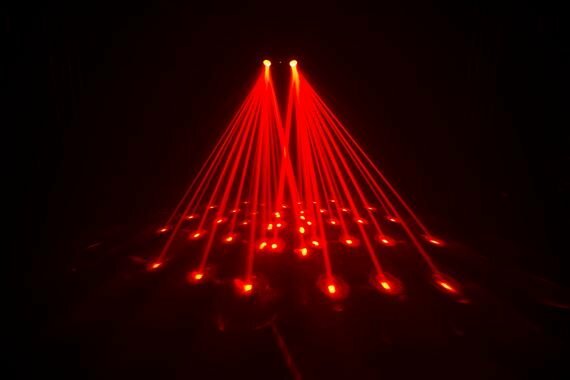 Added impact is provided by the thousands of razor sharp red and green beams produced by the laser. 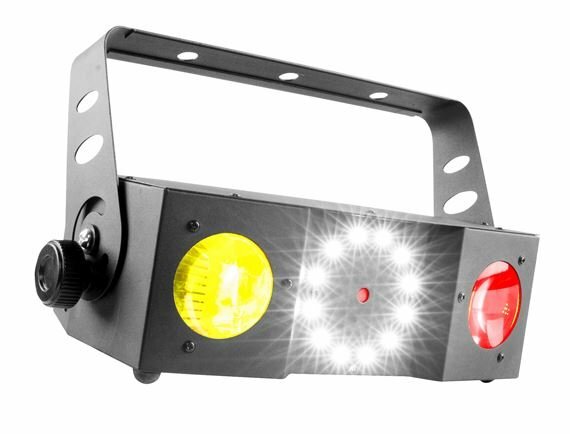 The bright output of the strobe ring, which features built-in motion effects, adds to the fun. 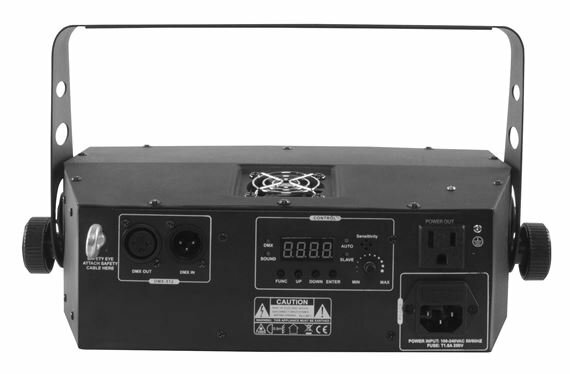 Control options include sound activation, master/slave, DMX modes or the IRC-6 remote (sold separately). 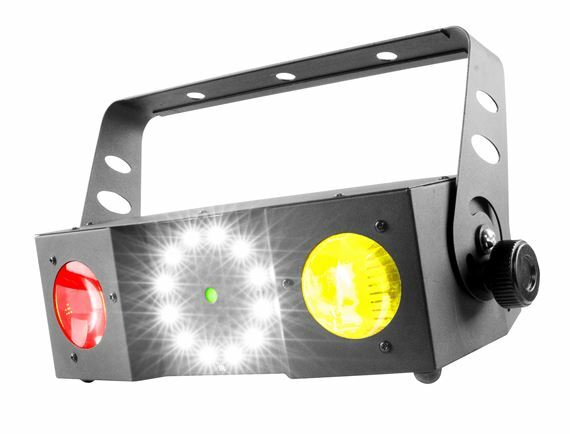 Really great light, with DMX control it is really really awesome, push a little fog and the beams are fantastic from this light, but, then again you cannot go wrong with chauvet products! AMS makes it easy to buy and their customer service is great, I will continue buying from AMS.